Gently mix the meat with all the other ingredients, form into patties and grill over direct medium fire about ten (10) minutes per side. 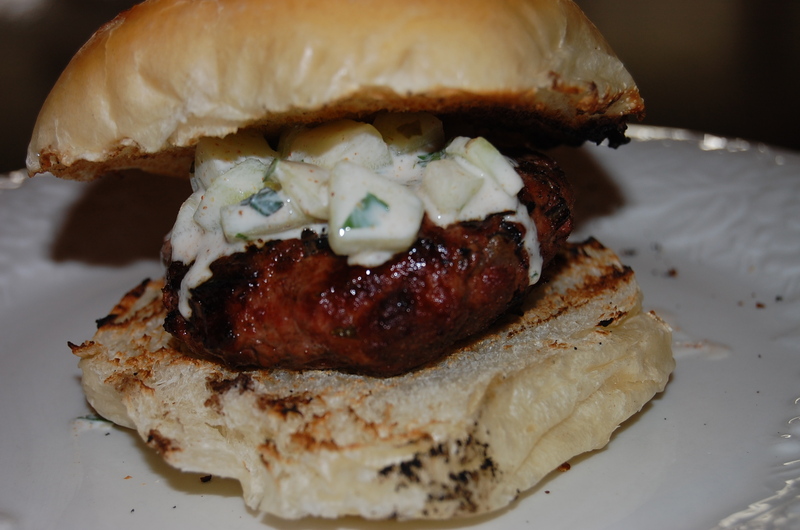 This entry was posted in Recipes and tagged Food, Lamb Burger by Brock. Bookmark the permalink.